A 560 square feet earthship home in The Santa Cruz Mountains in California. Hey guys! We’re Taylor and Steph Bode. 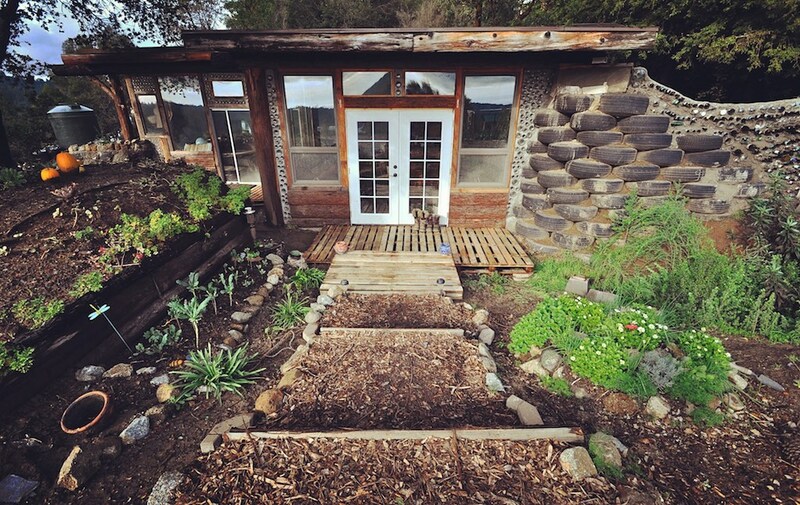 In early 2013, we set out on an adventure to find land in California where we could build an Earthship-inspired cabin for ourselves. We had been studying Earthships in Taos, NM and made it our mission to build a self-sufficient house, live off-the-grid in the woods, and experience the simple life. We got our opportunity in the Santa Cruz Mountains and have now created this photobook, Nomadic Roots, to share our story. We built our house for under $10k.